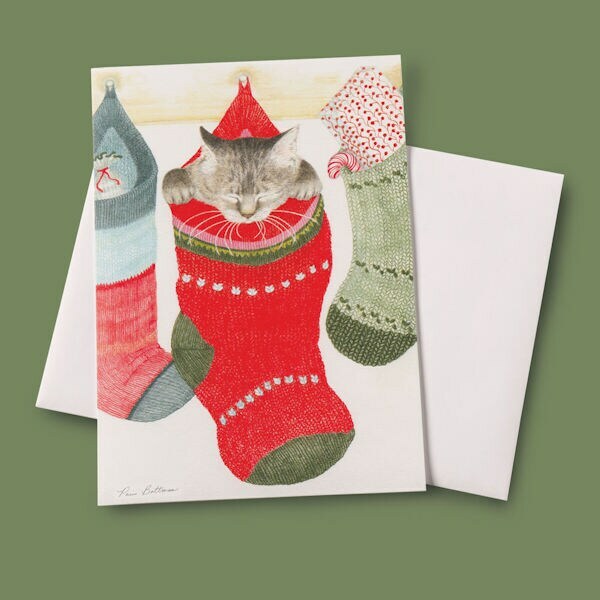 On our sweetly festive Kitty in Stocking Christmas Cards, a smoky-gray cat snoozes inside a cozy red-and-green stocking, the sleepy puss all tuckered out from waiting for Christmas to arrive. Inside, "Wishing you a peaceful holiday season" completes the perfect Yuletide greeting for friends and family. Boxed set of ten 5"x7" cards with envelopes.